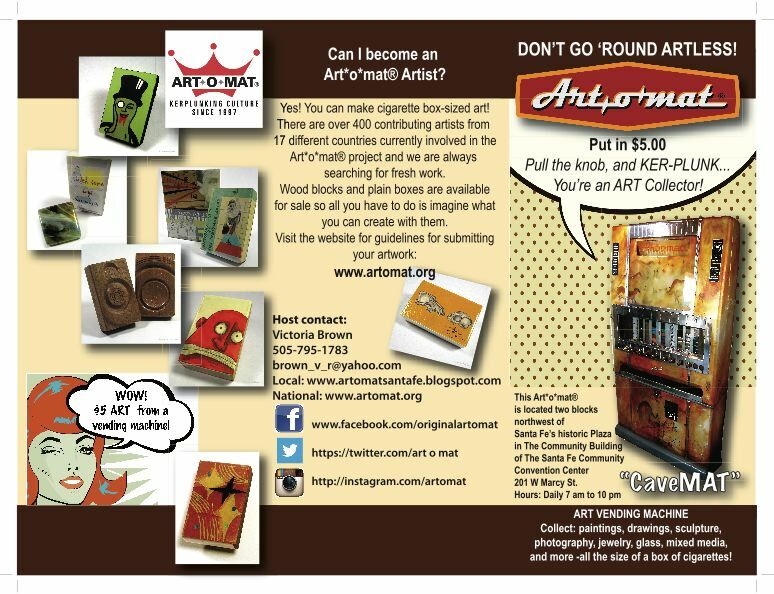 Art-O-Mat® is The Art Vending Machine! Vintage cigarette machines have been re-purposed and converted to vend art the size of a box of cigarettes. For only $5 you can collect paintings, drawings, sculpture, photography, jewelry, and more. 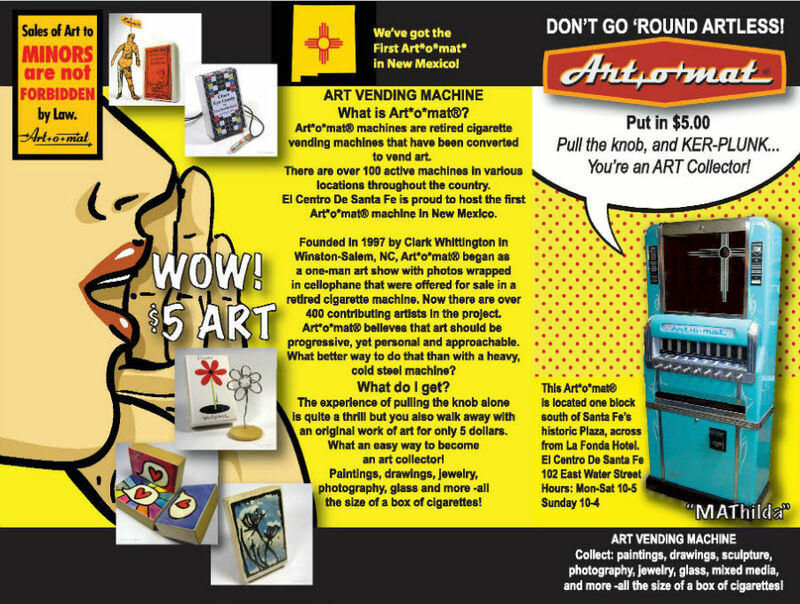 Created by Clark Whittington in 1997, there are over 100 active Art-O-Mat® machines in various locations throughout the country and El Centro De Santa Fe, located one block south of Santa Fe’s historic Plaza, is proud to host the first machine in New Mexico.The vintage 1950 cigarette machine features a turquoise glitter paint job with cream and grey cowboy-boot-style pinstripes and an iconic New Mexico Zia symbol etched on the mirror. Pull one of nine silver knobs and KER-PLUNK! Collect works from one of over 400 participating artists. Art*o*mat® seeks to make art accessible to everyone with its $5 price tag so you can take home pocket-sized pieces of original art to remember your visit to Santa Fe for years to come.